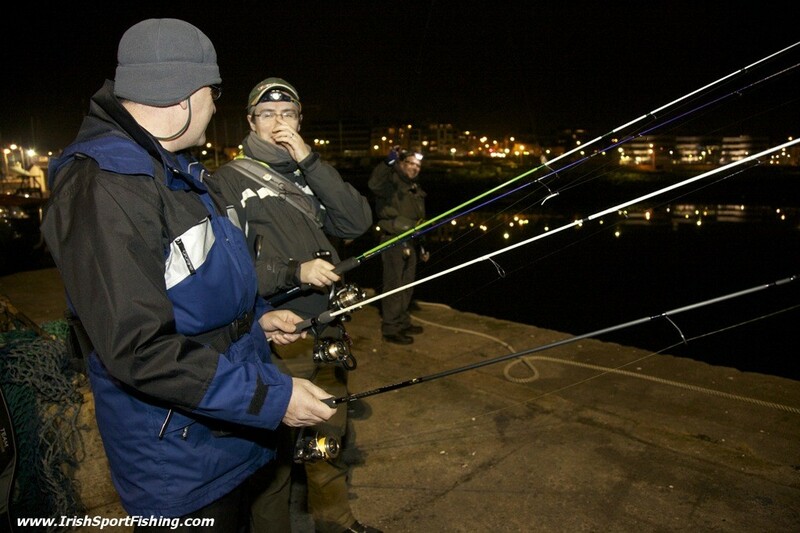 If you happen to come across a group of shifty looking men with their rods out along Dun Laoghaire pier some evening, do not be alarmed as they will not rob you. They are not interested in your wallet or your phone, but instead in what is swimming in the sea below. Man-made structures like the pier create the perfect environment for small fish to congregate. 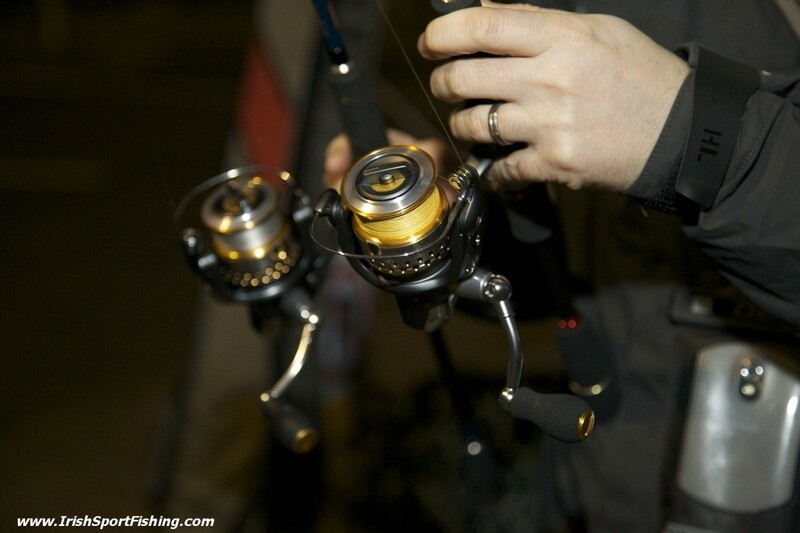 It also creates an ideal platform for anglers to fish from, and when tackle is scaled down some good fun can be had. Sam Roche is one of the pioneers of LRF (Light Rock Fishing) in this country (just like back in the day where he was also heavily involved in the growth of tournament casting and match angling). 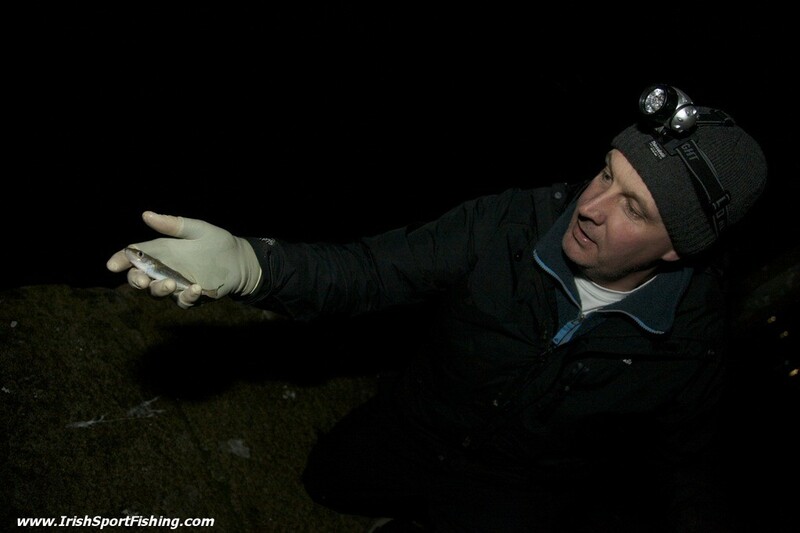 “LRF has been a bit slower to get going here than in the UK, but i’m getting the feeling that interest is beginning to develop”. Sam is keen to promote the idea of no-stress fishing where people can casually meet up and share ideas, and avoid the excessive time and preparation that is often spent on a day out angling. Its a million miles away from his former passion, match angling. 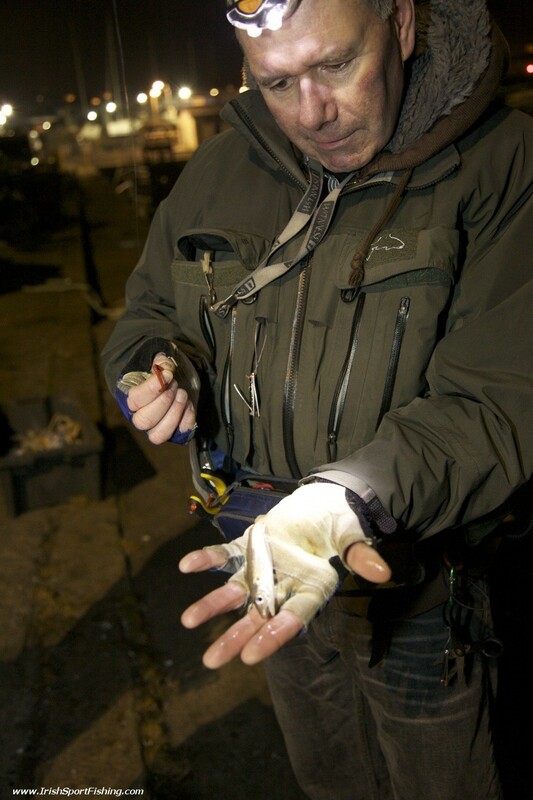 Sam hopes to be able to organise a few ‘bumbles’ this year, where a group can meet up at a location and head off around the area fishing wherever they like, trying to catch whatever species takes an interest in their lures. Something along the lines of this from the lads over at Jersey Bass Guides. As Sam says – The more the merrier! 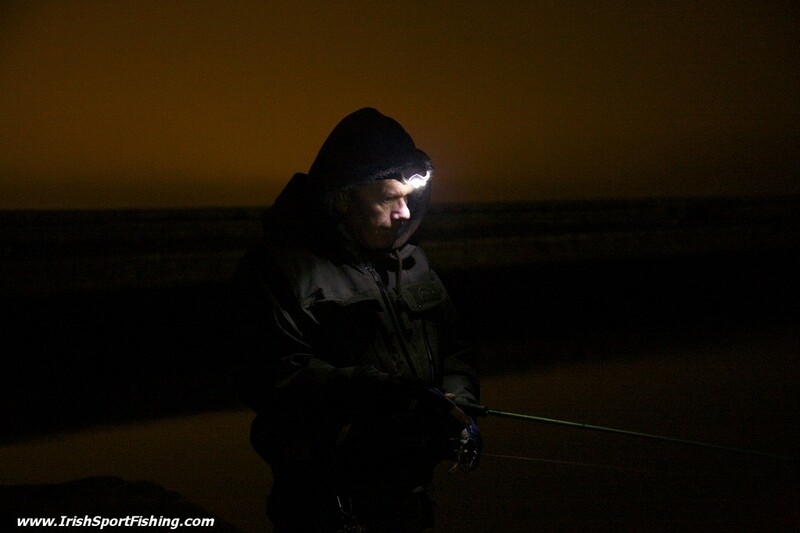 While the conditions seemed perfect on the night, the fishing was slower than normal – typical for this time of year. 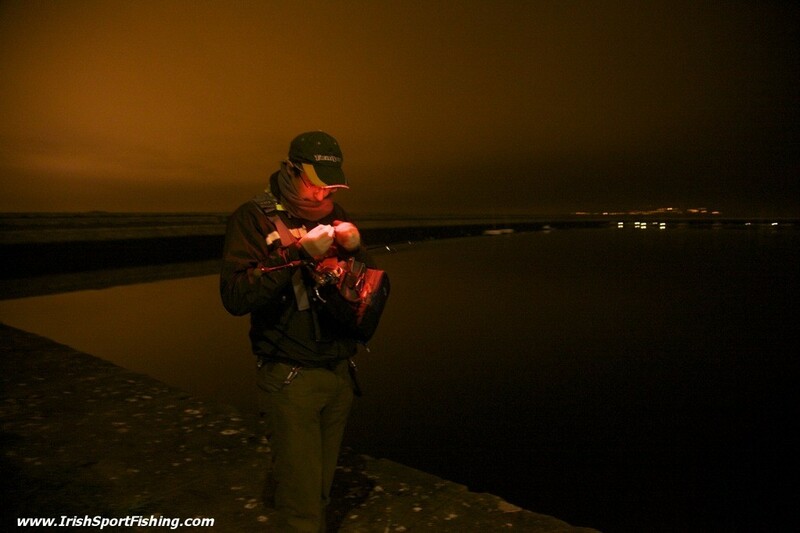 Another few weeks should see the numbers of fish and species begin to increase. Still, everyone got in on the action and managed to land a few fish, and plenty of bites were missed too. 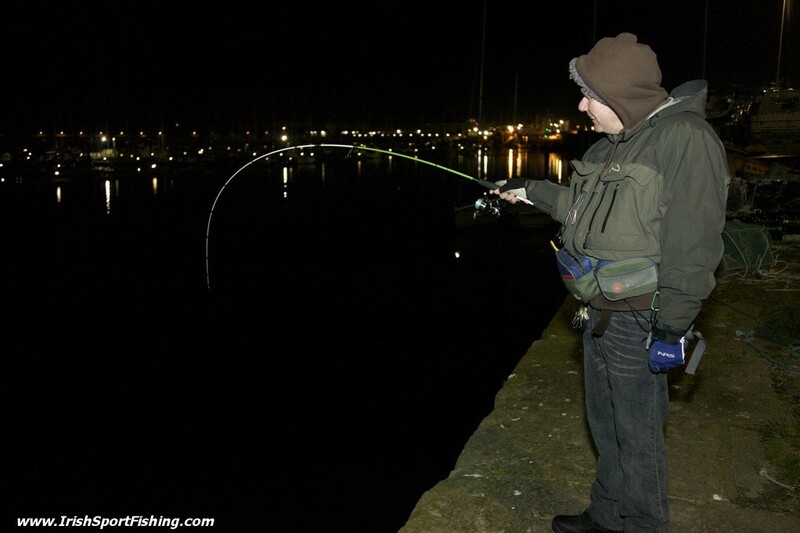 I’m looking forward to the summer evenings when the action comes thick and fast, and where the light tackle is really tested by good wrasse and pollock – and of course the shoals of mackerel and herring. What we thought was a new world record Sand-Goby, turned out to be a lump of weed! 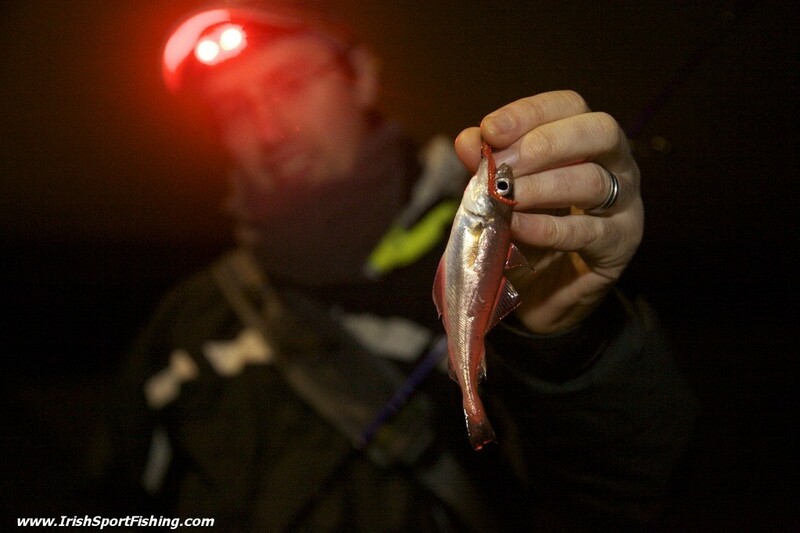 I’m very surprised that there doesn’t seem to be any interest in squid jigging. From a pier like the one in the pictures with plenty of light squid swim around feeding on bait fish, shrimps and other crustaceans. Squiding is fun and are very tasty. Most people only know them as “Calamari” which is of course italian for squid. PS. 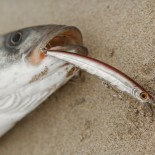 Small hook baited with chicken with a small float about 50 / 70 cm away is an excellent way to catch Mackerel which also like these areas. Simply cast out about 10 / 15 mts and retrieve slowly will generally get hit after hit. The problem is that there are no squid! 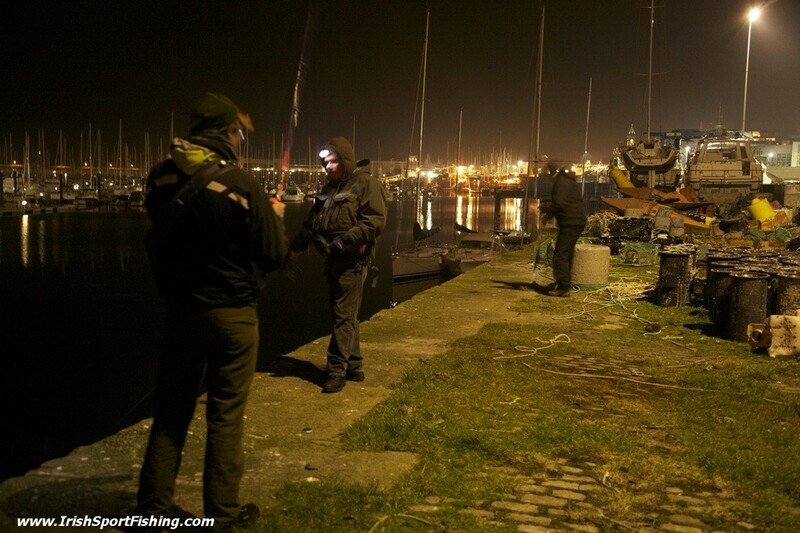 While i have caught one before out in a boat off Dun Laoghaire it is not a common catch. The water is far too cold, unlike the warm waters you catch them in. Its a pity because they are delicious! There’s plenty of mackerel in the summer though! Thanks Jay. The wrasse are great fun alright. 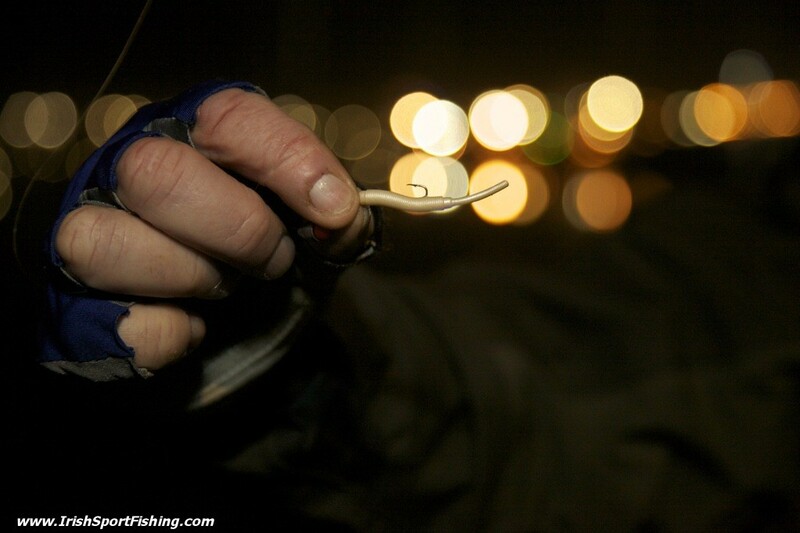 You have to make sure you’re holding onto your rod tight! Nice article Steve, those photos came out well. 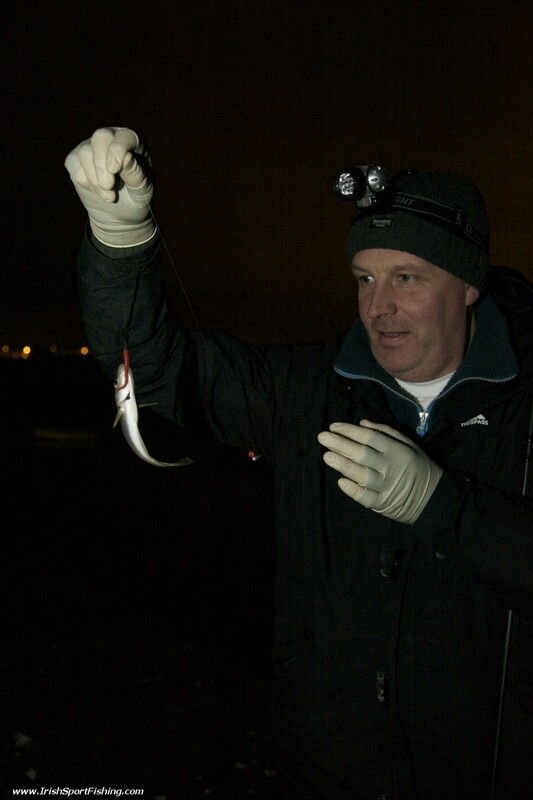 It’s a bit of a pity the fish were a little camera shy on the night but it was good fun all the same and that’s all that matters. Luckily those lean days are not too frequent! Great blog stephen,really enjoyed reading it. Some great content on here makes for great reading. Nice to see you have been fishing away using various methods/styles .Being doing similar fishing myself the last few years. Beats the stress of the match fishing days eh? Thanks all, was fishing away last year, and hope to do a lot more this year too! 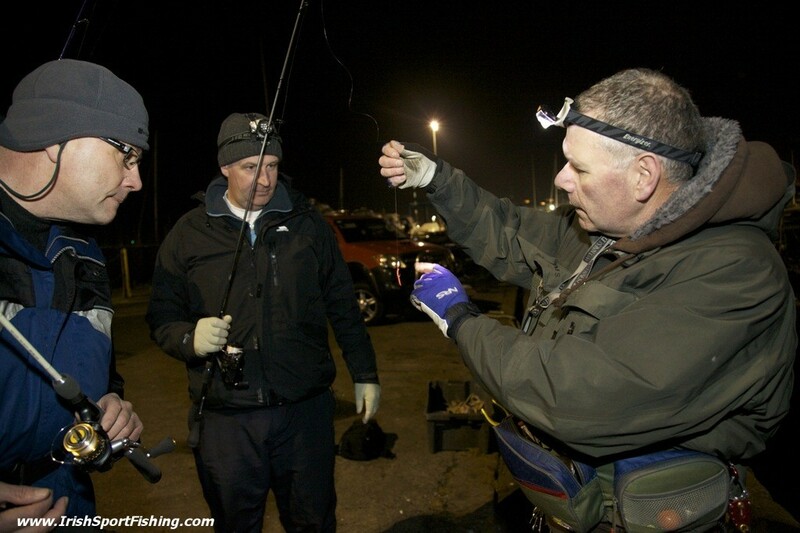 Enjoyed the intro to LRF with yourself, Sam, Dave on Sat. First of many hopefully. 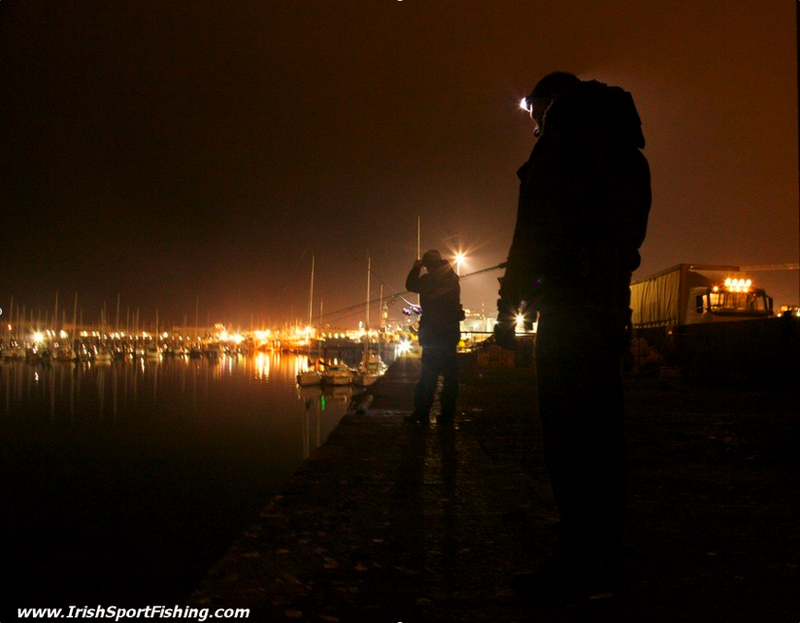 Nice report and great Irish Sport Fishing site also. 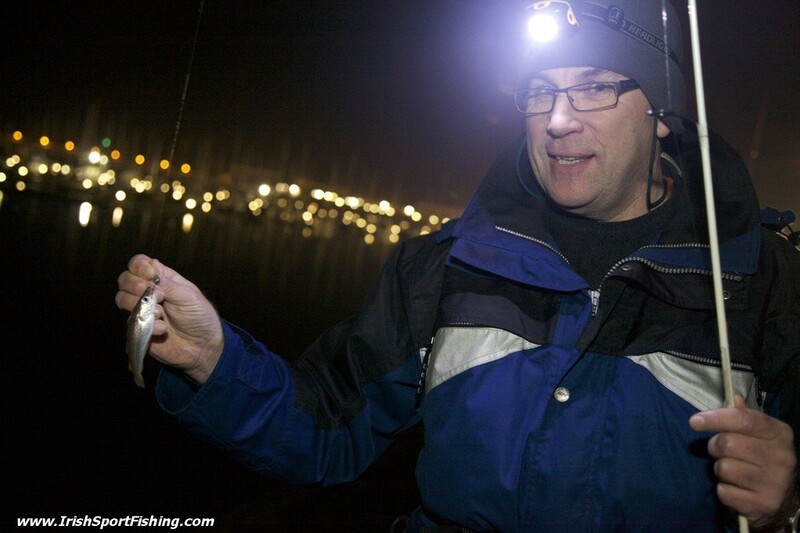 It was a pretty slow introductory session to LRF unfortunately, but just wait until the Summer arrives! I don’t think the tides matter as much as they do for ‘normal’ fishing. Often when bass fishing i wouldn’t bother heading out if the tides were small, however i would have no such worries for LRF’ing. A bigger tide may produce a few more fish, but the conditions on the day would appear to play a bigger part in my experience. This entry was posted on January 30, 2012 by steve and tagged Berkley Gulp, Daiwa certate, Ecogear Strawtail, Fishing Bumble, Illex Pepper Stick, Light Rock Fishing, LRF, LRF Fishing, Major Craft Solpara, Major Craft Zalt, Marukyu Power Isome, No Stress Fishing, Reins Raz, Yamatoyo Line.